One of the most important things you may have to take care of is finding the right pros to take care of your Varina Tree Removal Company. 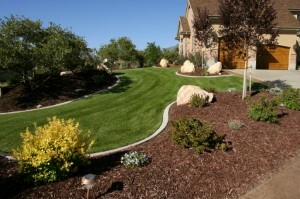 Part of the responsibility of taking care of your home and property is taking care of the outside. Obviously this includes growth and what's more important than your trees, when it comes to this task. Trees can be a beautiful blessing to the landscaping of your home. Of course they can also pose a terrible threat. Taking care of them by letting trained and experienced pros get the job done is an essential part of making this happen. Even after you have cut down a tree, the stump can still pose a threat. So it only makes sense to work with a Tree Removal Company who has the knowledge and expertise to get the job done, the right way in Varina, VA. So what can wrong, you ask? Tree limbs can overgrow and tear at your roof. Roots become entangled in your sewer and cause leaks. Or that remaining stump becomes a breeding ground for insects or other pests. At C.S. Flournoy we want to help you put a stop to any and all of this. One of the most important tasks that often gets overlooked when it comes to home ownership is addressing the need for Varina Tree Removal. You should always let an expert help evaluate which of your large trees could pose a threat to your home. The last thing you want is to have a dead tree crash down on your house when you could have easily avoided it. Or maybe you want to work on a project such as building an addition on to your home but need to clear away some of the trees. Whatever the case may be, now you know the name to call on for taking care of your home in Varina and surrounding areas. Contact us today to find out more about what we can do for you. Many Varina homeowners find out that cutting their tree down is the easy part. The hard part is getting that annoying tree stump that is left behind removed from your home or business property. We find that most property owners would prefer getting the stump removed so they can replace the area with grass and also maintain the consistent look of their landscape property. Varina Stump Grinding is the perfect option for your needs because we can grind the stump down to about 6 inches below the soil line so that dirt and grass can cover it up and begin to grow like normal. The smartest thing you can do is work with a true professional in order to find out if you need tree trimming or full scale removal for your backyard. This is not the thing you want to guess about and something that should be determined by a trained professional. So let our pros help you understand your options and make important decisions. For all of your Varina Tree Trimming needs, call on the C.S. Flournoy team and let us show you how 30 plus years of experience can make all of the difference in the service you receive. "We have used C.S. Flournoy for over 12 years. Danny Epps is a true professional, knowledgeable, experienced, and customer focused. The crew is exceptional and thorough. C.S. Flournoy is reliable, employees from the estimator to crew and the office are friendly and responsive to our needs. We don't need to be at home when the work is performed as Danny has detailed out the work to the crew, and the crew does such a great job in tree/stump removal and clean up. We have never had any auxiliary damage from work performed. It is a pleasure working with this company. The payment plan is a welcomed feature. We highly recommend C.S. Flournoy." If you are looking for a Varina Tree Removal Company then please call 804-264-1000 or complete our online request form.